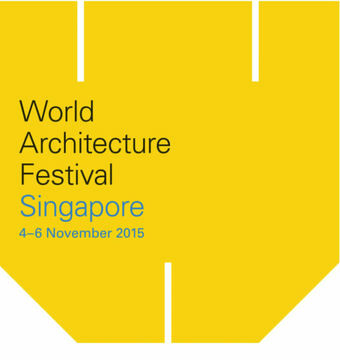 To be awarded a World Architecture Festival (WAF) Award is widely considered a career booster in the international architecture field. The event, taking place from November 4 to 6 at Singapore’s Marina Bay Sands Convention Centre, is the largest gathering of the world’s architecture community, which is why the publication of the award nominees was awaited with great anticipation. In mid-June the organisers finally announced the shortlisted projects and the names of the hopeful nominees. As WAF’s founding partner, GROHE will once again be the main sponsor of the renowned event, now in its eighth edition, and present the coveted award for the “World Building of the Year”. This year over 600 projects were submitted for consideration by the WAF jury. Later in the year all shortlisted entrants will give live presentations of their projects to the high-calibre jury at the Festival in Singapore. The jury this year includes Sir Peter Cook, Manuelle Gautrand, Sou Fujimoto and Kerry Hill. Apart from the architectural awards, the event will once again offer a multifaceted programme comprising numerous seminars, discussions and presentations. On all three days the festival hall will be the meeting place for the WAF delegates, where they can mingle, network and inform themselves about innovative projects as well as products and services presented by leading international companies. GROHE will be in attendance with a large exhibition booth showcasing numerous recent additions to its product range. These will include the water-proof Aquatunes Bluetooth speaker, the GROHE Blue® water system as well as an array of digital home spa solutions. In addition the manufacturer will present the horizontal shower Aqua Cloud – a concept for luxurious rejuvenation. The current “Masters of Technology” campaign will form the impressive setting of GROHE booth in the festival hall. It highlights the company’s long tradition as a technological innovator and its continuing focus on progress and advancement in the sanitary sector. “Congratulations to all nominees who have made it onto the shortlist and cleared the first hurdle towards the WAF Awards. Now we can all look forward to three exciting and inspiring festival days in November,” said Grohe AG CEO Michael Rauterkus. The Festival kicks off with a “PechaKucha night”. This Japanese event format is unique in that it compresses a large number of presentations into a short time frame – each speaker is limited to presenting a maximum of 20 slides and can explain each slide for only 20 seconds. For GROHE Paul Flowers, Senior Vice President Design, will be among the speakers. As usual, the festival will be concluded by the grand gala dinner where the overall winners of the Awards will be announced.